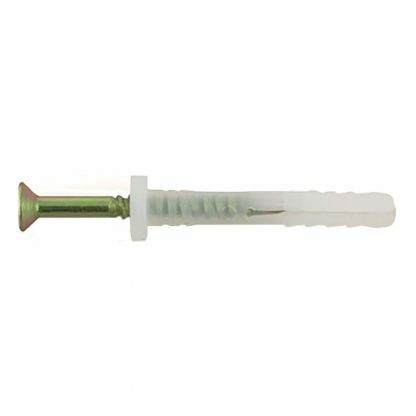 Macsim bettadrive screw nail-in anchors have a nylon body and a steel pin. They are available in various sizes and lengths (100/box). Macsim bettadrive screw nail-in anchors are often referred to as drive pin anchors.